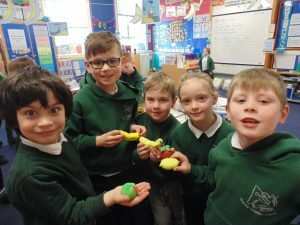 As a continuation of our “healthy eating and farm to fork” topic we used salt dough to make our own pieces of fruit. We made Apples, bananas, lemons, oranges strawberries, plums and cherries. 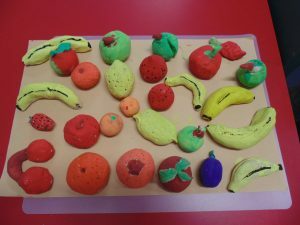 We molded, baked and painted them to look like real fruit. Aren’t they a work of art?